Nishimura district which still has a scenic view of rice terraces is designated as “Maze Satoyama Museum” and is the base of green tourism in Maze. “Satoyama Museum” is a style of community development, regarding the rural scenery and the culture of the local lifestyle as the outdoor museum. This has increased interactions between the urban and rural areas. The beautiful rural scenery accented by tourist spots like a hot spring named “Miki-no-Sato”, “Mizube-no-Yakata” and the roadside station, well-organized farm lands and farm-raised animals. “Mizube-no-Yakata” is the information center of the Maze River. It is facing the river so visitors can play in the stream and enjoy catching fish with their hands. As well as BBQ along the river. Also, “Mizube-no-Yakata” offers tourist information, Ayu fishing classes, experience of traditional fishing in Maze River, planning and implementing a green tourism program and other various activities. From summer to autumn, visitors can enjoy Ayu fish caught by the fish trap and see the fantastic scene of Hiburi-Ryo. Hiburi-Ryo is the traditional way of fishing, utilizing the habit of matured Ayu which swim down to lay eggs at night in early autumn. 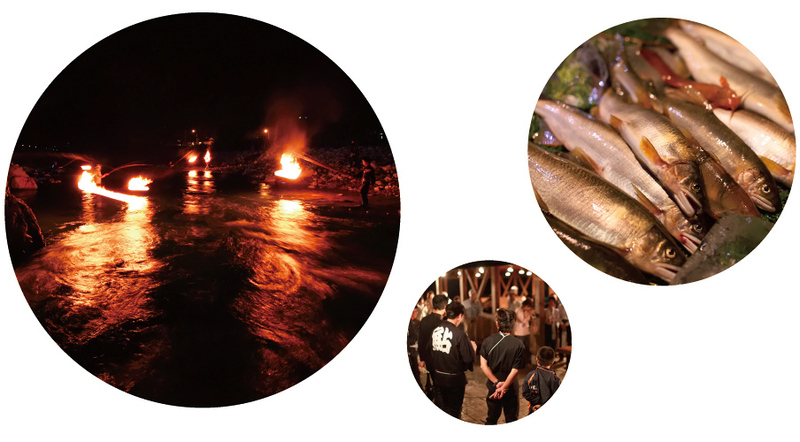 Surprising the Ayu with fire and torches to push them to nets spread across the river. 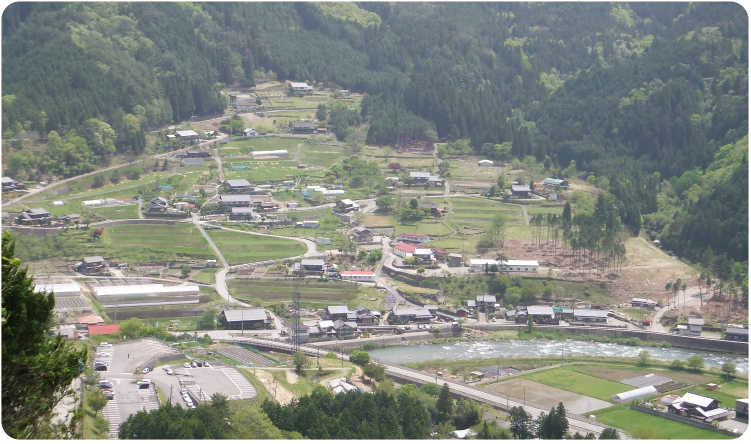 Mountain Life Hida is an outdoor sport and cultural activities center, open from May till October. From adrenaline rush rope course to super refreshing headwater canyoning, from English and French language lessons to country cooking lessons, staff with international background propose fun and authentic programs for both Japanese and foreign guests. English and French spoken. Note: wetsuits rental is included in the price. Enjoy our rural mountain village with a PM half day sport activity (canyoning or Ninja forest rope course), followed by a cooking lesson with a local family, and stay overnight in a local’s house. Departure after breakfast the following morning. © mazekanko All rights reserved.